Not long after Sir Tim Berners-Lee published not only the first formal proposal for the creation of the World Wide Web but the very first web page, the race was on to get websites built and people viewing them. These were the days when the words fire and fox were distinctly separate entities. When the only Opera was the kind where big fellas with big voices conveyed every conceivable emotion through the medium of song. The less said about Safari‘s the better and Chrome glimmered on custom motorcycles but wouldn’t be seen dead near computers. 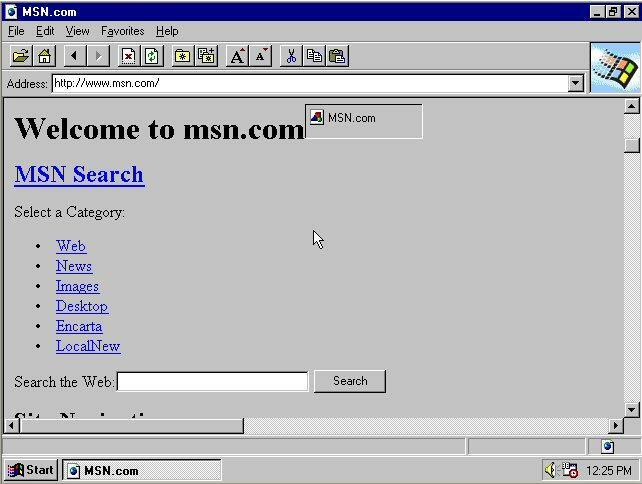 As for Internet Explorer, come on guys – this was the early 1990s! No, there was really only one name used when talking about the graphical user browsing experience, and that name was Mosaic. It was the brainchild of boffins (Marc Andreessen and Eric Bina) at the National Center for Super Computing Applications, which is itself part of the University of Illinois. Work on Mosaic‘s development began late in 1992 and by June 1993 version 0.1a was ready for internal testing. A few short months later and version 0.5a was ready for general release. Recognizing the huge commercial potential of its invention, a company called Spyglass Inc was created and Mosaic’s inner workings made available to all who wanted to cough up some cash for the privilege. In 1995, Spyglass licensed the source code for Mosaic to Microsoft and shortly afterwards the very first version of Internet Explorer was born. 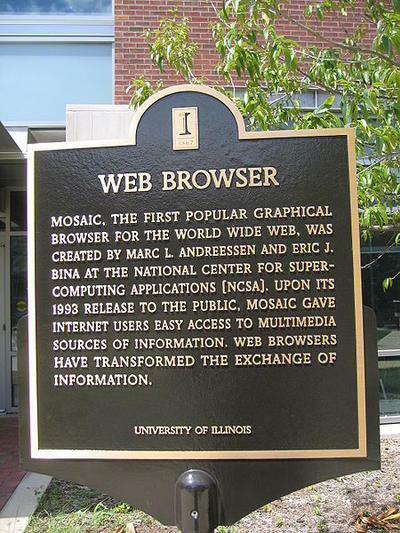 It would be interesting to add a side note at this point – a number of the folks who worked on the Mosaic browser went on to create the very first Netscape Browser, which was called Mosaic Netscape for a short time (before a lawsuit forced a change). Much later of course, developers at Netscape created the much-loved Firefox browser. But I digress. Internet Explorer 1 was unusual in that it wasn’t part of a Windows operating system like later versions. Windows 95 was already out when IE1 took flight in the August of 1995. Microsoft made the svelte 1.1 Mb IE1 available as part of something called the Internet Jumpstart Kit (which later became the Internet Connection Wizard) when the Windows 95 Plus! Pack was released. By today’s standards, IE1 was not impressive but in 1995 it was HUGE. Reading text on the internet – am I in the future? The browser could render basic Hyper-Text Markup Language (HTML) but that was about it. As you can see from the screenshot above, text was about all you got. Flash video? You must be joking! Streaming music? Not likely? Colorful renderings in Portable Network Graphics (PNG)? PNG hadn’t even been created yet let alone supported in a browser. When IE1 first appeared, HTML was still in its infancy and only came to about 20 basic tags. For such things as scripting, frames, Secure Socket Layer (SSL), cookies and newsgroups (NNTP) support, the world would have to wait for Internet Explorer 2. As it happens, the wait wasn’t too long – IE2 was beta released in October 1995 but this was still before the next flavor of the HTML standard was published. But that’s another story. Although I wouldn’t recommend it, in fact I would probably advise against it, if you really, really wanted to you can still get hold of IE1 at oldversion.com and give it a whirl. What was the first browser that you ever used and which one(s) do you use now?